Almost 20 years after its dedication, the text has yet to be fully deciphered. A bleary-eyed global community of self-styled cryptanalysts—along with some of the agency’s own staffers—has seen three of its four sections solved, revealing evocative prose that only makes the puzzle more confusing. 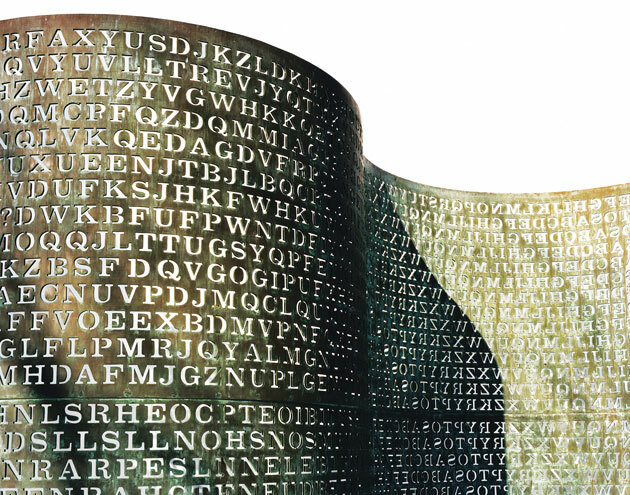 Still uncracked are the 97 characters of the fourth part (known as K4 in Kryptos-speak). And the longer the deadlock continues, the crazier people get. via Mission Impossible: The Code Even the CIA Can’t Crack.